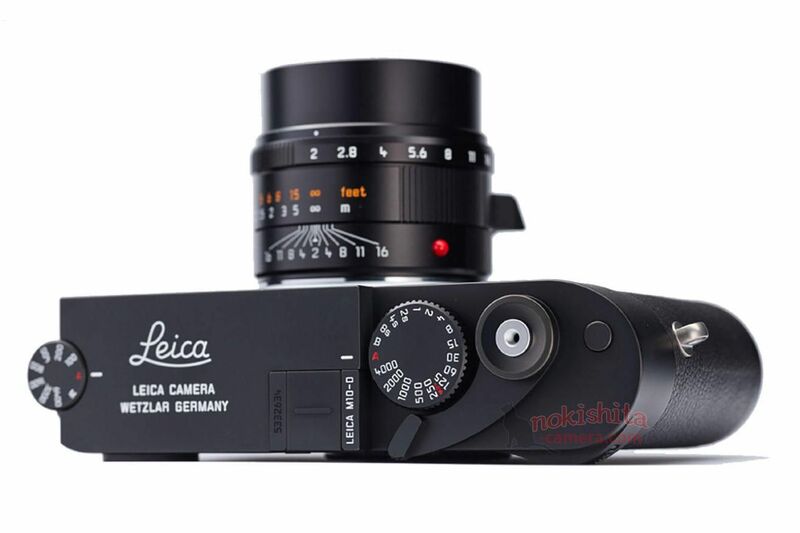 Things were pretty interesting in the world of photography last week, especially in the hardware side of the spectrum, from a dead revival from Yashica to some mouthwatering leaks from the newest to-be Leica M10-D.
Having a great lens with a lousy filter attached in front of it has no sense at all, but that is exactly what many people end up doing when buying filters. Many cheap filters render color in odd ways, jeopardizing the resulting image quality from your camera and lens set-up. Wine Country Camera is a pretty young yet innovative company with one single product in their lineup, high-quality filters made to enhance the photographer’s workflow. They became quickly famous due to their holder system, but now they’ve decided to expand a little and are about to release circular filters as well. There have been a lot of opinions around why Fujifilm hasn’t yet released a full-frame camera. The answer is simple, they are not interested in that, period. Some people have already come to that conclusion since the appearance of their second medium format mirrorless camera system. But if there were still some people expecting full-frame from Fuji, here you can see the interview made by the folks over at Dpreview in which Toshihisa Iida makes it very clear to everybody out there. Kodak has been releasing a lot of interesting things lately, from their cryptocurrency to the Ektachrome revival. Now they are aiming at simplifying the process of digitizing physical photographs with their new Digitizing Box. This is more a service than a piece of gear. You simply send them your stuff in their Kodak branded box, and they’ll do the rest. Bags are a guilty pleasure for many photographers (we included), and last week we stumbled into this stylish looking messenger bag from Ona. Not so long ago Leica released their M-D camera, it is a digital rangefinder without a back screen. Apparently, this wasn’t as crazy as you might think, and they are about to release the remake of that camera, and until this date, it could be known as the M10-D. Thanks to the leaked photographs, we can see that the camera will have a winding lever so we can assume that it will give a more analog-like experience by at least cocking the shutter prior to every shot. Even though when the concept was a built around some pretty unnecessary stuff, the hipstery idea of reviving the Yashica Electro 35 gave this Kickstarter campaign some benefit of the doubt, so we waited (even though we weren’t even gonna pledge). A couple of days ago we finally got some information about it and wow… the worst revival ever. The camera turns off whenever it wants, it is all plastic, lousy image quality, they even got the connections wrong for crying out loud. It is that time of the year in which Magnum seeks talent. Do you have what it takes to be a Magnum Photographer? Try out, the worst you can get is a non-reply. Last week we said goodbye to Ara Güler, best known as the “Eye of Istanbul”. Ara was one of Turkey’s few internationally known photographers, and he left us with a magnificent photographic legacy. Here you can see some of the images he shot when working with Magnum. Last week hundreds of people from Central America (especially from Honduras) gathered together in order to march to the United States of America. There has been a lot of noise lately on this topic, and the caravan quickly swelled to approximately 7,000 immigrants. Here are some photographs that show the collective despair of the people. This entry was posted in News on October 25, 2018 by Federico Alegria.